I’m the last of the Haven team to make the big announcement today, but better late than never. In case you haven’t heard, the Haven Conference will take place again this year with a new date and hotel! We had so much fun bringing you the Haven Conference last year that we knew we wanted to do it again! The Haven planning team for 2013 includes myself, Sarah from Thrifty Decor Chick, Chris from Just a Girl, Rhoda from Southern Hospitality and Traci from Beneath my Heart. Also on board again this year is Kristin Stockdale from Stockdale Designs, our amazing event planner, and Kristi, our uber-talented web designer from Creative Kristi. 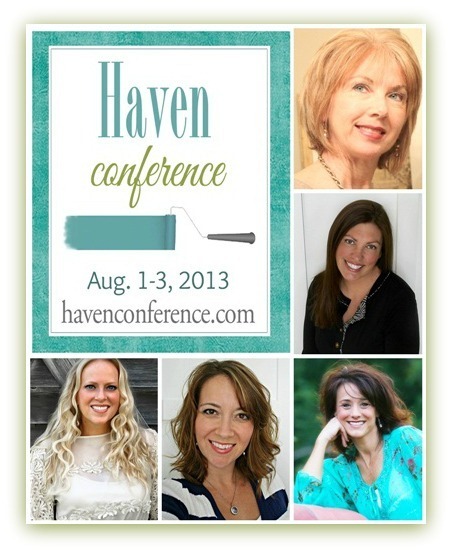 Haven is a two-day conference taking place Thusday 8/01/13 through Saturday 8/03/13. The conference allows bloggers to learn from and gather with some of the most notable DIY/Home bloggers in blogland. Conference sessions focus on a mix of DIY, blogging, and social media instruction. The Haven Conference will take place in the beautiful Buckhead Grand Hyatt in Atlanta, Georgia. This is a new location for us and we think you will love it! Haven is open to all who are passionate about blogging, DIY projects, and creating beauty in the home for less. With a perfect mix of DIY and blogging sessions, it’s a conference not to be missed! Can you attend Haven if you’re not a blogger? Yes, however, many sessions will be geared for the professional blogger so please keep this in mind. For more information, and to see more fun pictures from Haven 2012 please click on the button below. Special Thanks to the Home Depot for being our Platinum Sponsor again this year! 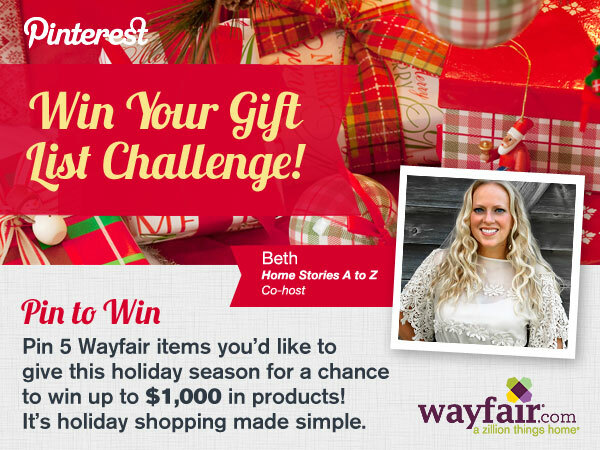 Also, just a quick reminder that if you haven’t entered the Wayfair Win Your Gift List Challenge you should enter! It’s incredibly easy to enter and you could win everything on your gift list up to $1000! Wow! And now it’s time to see your creativity at its finest! zanim. Musiał rozumować już dopiero co, victimising aby nieostrożnie nie zbudzić bestii. jak w górnej trawie natrafiał coraz nagminniej na. Ooooh, what a fun announcement. Missed Haven last year, but hope to go this year. Thanks for hosting! wahh who! I am definitely making it to Haven this year! See you there! oh how I would love to come to Haven. It would be amazing if the finances and schedule line up! I just found your blog through Sophias Decor. Love your blog and your work. We are new to blogging, but I have linked up a stool my 12 year old made in wood working a few years ago and has just recently finished it. Thank you for this amazing party. Love so many great things linked. Thanks for hosting – hope you’re having a lovely holiday season! Hi Beth! Thanks for hosting a great party. There are so many wonderful ideas this week. Haven was so fun last year! YAY! So excited for Haven 2013! So excited to see this announcement! I hope to make it! Hi Beth: How exciting that you are involved with putting together the Haven Conference–the one from last year sounded like a lot of fun, and this one does as well! Thank you so much for hosting the party tonight, and I hope that you have a wonderful and even relaxing new week! Thanks for hosting!!!! 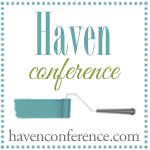 I am so excited about Haven …can not wait to attend! Thanks for hosting the party. I have a quick question. 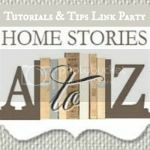 I have links to all the parties I join at the bottom of my page, does that count for you, or only if it is posted in the actual post. I have never really seen anyone address this specifically and I’m curious to know what your thoughts are. Haven looks like a great conference. I’m hoping to go this year. Thanks for hosting Beth, I am SO amped about Haven-I can’t wait to go and hope to be able to introduce myself there! Please let me know if there anything I can help with! Have a great week! Fun news about Haven! Thanks for hosting, just linked up our bath reno. Ugh I forgot about your wayfair thing! I’ll do that now. Thanks so much for hosting this week! Would LOVE to attend Haven! Whoop! So excited to head back to Haven! Thanks for hosting Beth! Ooohhh, I hated missing Haven last year. I so want to go this time around. Thanks for hosting such a great party every week. I appreciate the opportunity to link up and love all the inspiration! Thank you SO much for a wonderful party Beth! Ugh, I would so love to go to the Haven Conference! Maybe next year 🙂 Thanks for hosting! *squeal* I’m SO hoping to make it to Haven 2013!!! Thanks so much for hosting! Haven looks like a great conference. Will have to see if I can make it. Have a great week. I would love to go to heaven, I’ll see if I can! Thanks for hosting Beth! i’d love to go to haven. one day! thanks for hosting! Wheee! I’m so excited to go to Haven!